Growing up, I had a wonderful little palomino mare named Lady Gold. My parents got her when I was about 5 years old. We covered many miles riding the country roads in West Tennessee. She is the reason I fell in love with horses, but I think they have always been my spirit animal. I’m often on the lookout for interesting natural abstracts. This image is all about seeing things hidden right in front of your face. On a visit to the Garden of the Gods in Colorado Springs, Colorado, I looked up and saw this horse head staring back at me from high up a 300-foot-tall sandstone cliff. 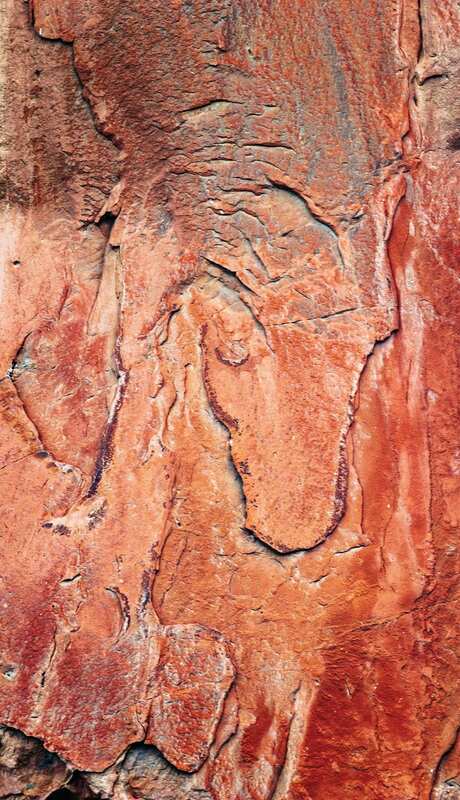 It was so clear to me: the ancient horse running free in the ice age rock formations. It gave me pause and made me imagine how many Native Americans must have crossed his path, how many cowboys had driven cattle by in the valley below and how many selfie-taking tourists visit the site today without even noticing. The sandstone at this national natural landmark juts from the valley floor like the spines of ancient dinosaurs. All sorts of strange rock formations with incredible patterns and vivid colors stand scattered across the 1,367-acre park. Using a 70–200 mm lens and my camera mounted on my tripod, I scanned the rock formations for more abstracts. 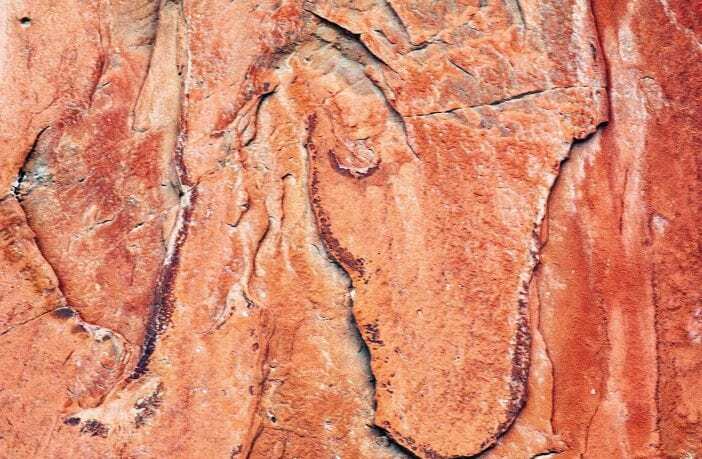 I found an eagle, a phoenix rising and red waves made of iron sediment “flowing” through sandstone. You never know what you will find if you take the time to look past your initial subject matter, especially at a location like this. Natural abstracts are everywhere — from sandstone to decaying tree bark to patterns in water and even in the clouds. I will warn you, though: Once you start looking and seeing them, it might become addictive.